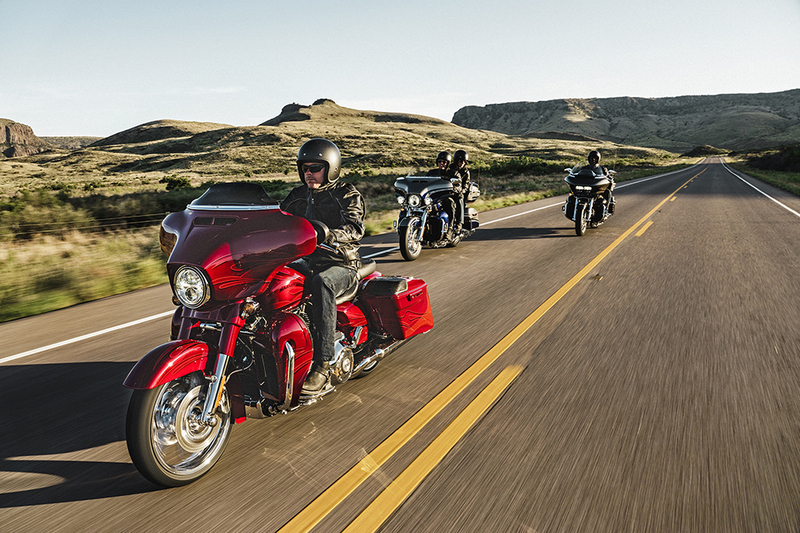 The CVO™ or Custom Vehicle Operations lineup is made up of the highest caliber bikes on the road today. 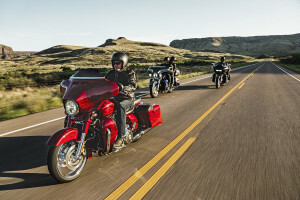 The CVO™ Road Glide Ultra is no different – it’s a fully loaded bagger that’s packed with custom styling details. 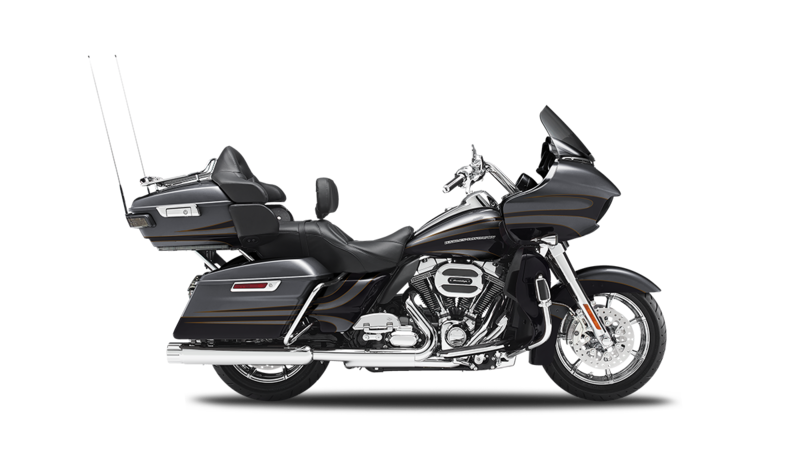 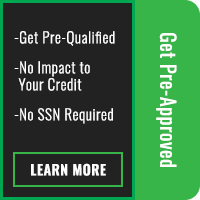 It’s ready to take you as far as you want to go, from Lenexa and Overland Park, Kansas to all over the country. 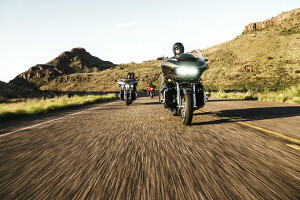 Find out more about the CVO™ Road Glide Ultra® here at Rawhide Harley-Davidson®. 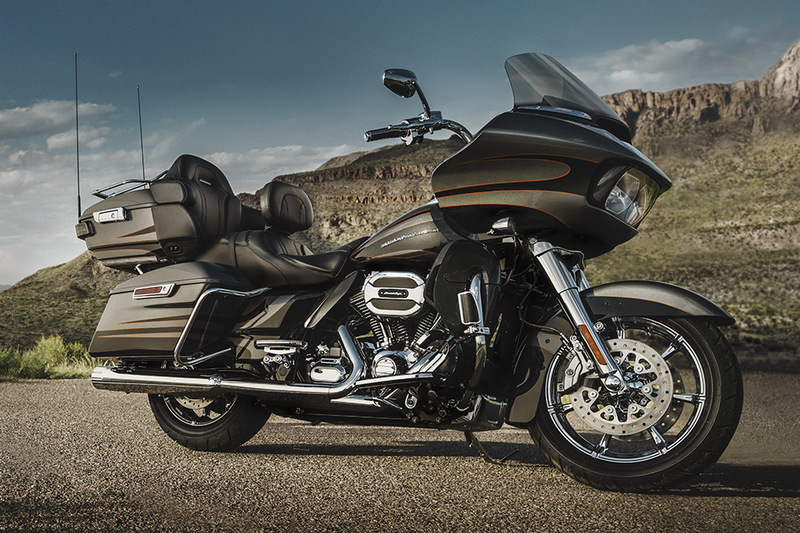 The standard Road Glide® Ultra is already a good looking bike, but with the CVO™ treatment, it’s something completely different. 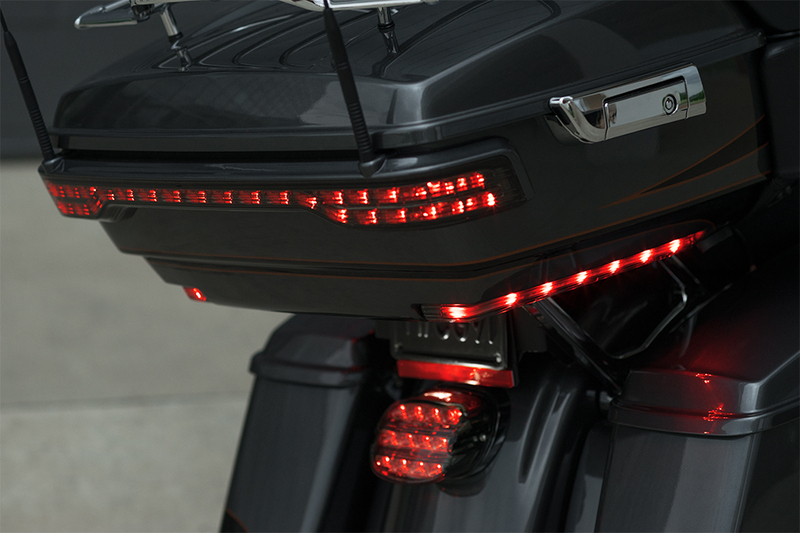 This bike will turn heads everywhere you ride. 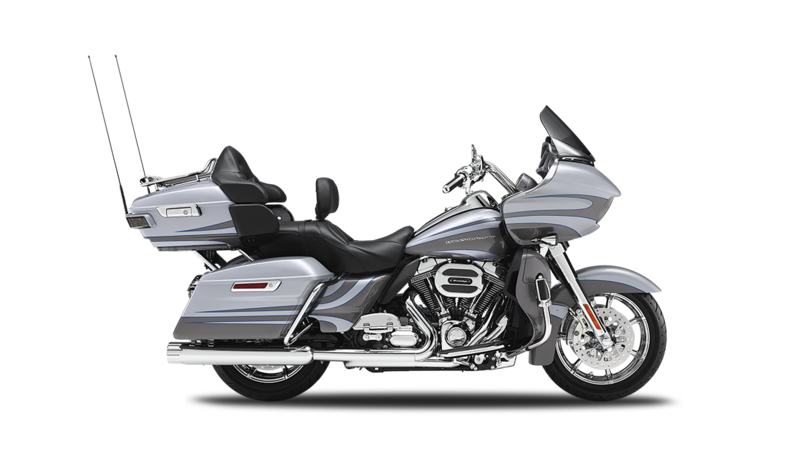 For example, in front you’ll find a 13.5-inch custom windshield with chrome trim, to prevent head buffeting wind and protect you from road debris. 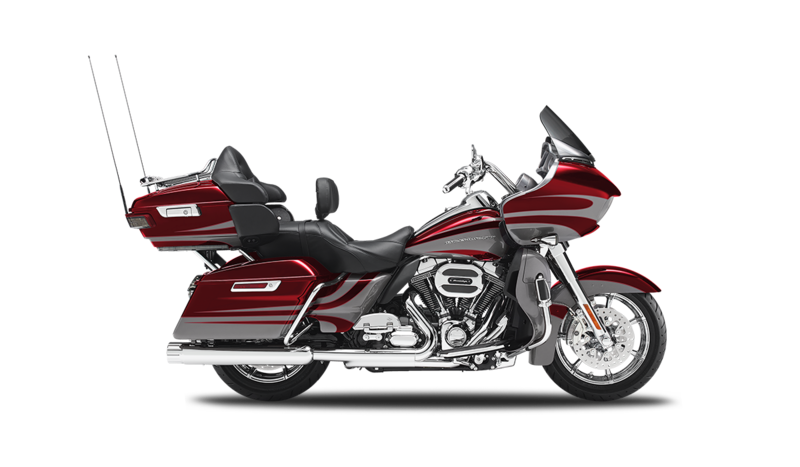 The fairing, the tank, the hardshell panniers, and the fenders, all get custom high impact paint and graphics. 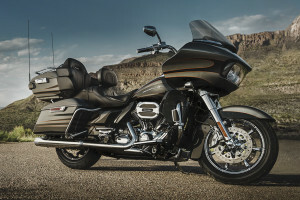 Out back, you’ll see dual chrome exhaust with 4-inch touring mufflers and chrome end caps. 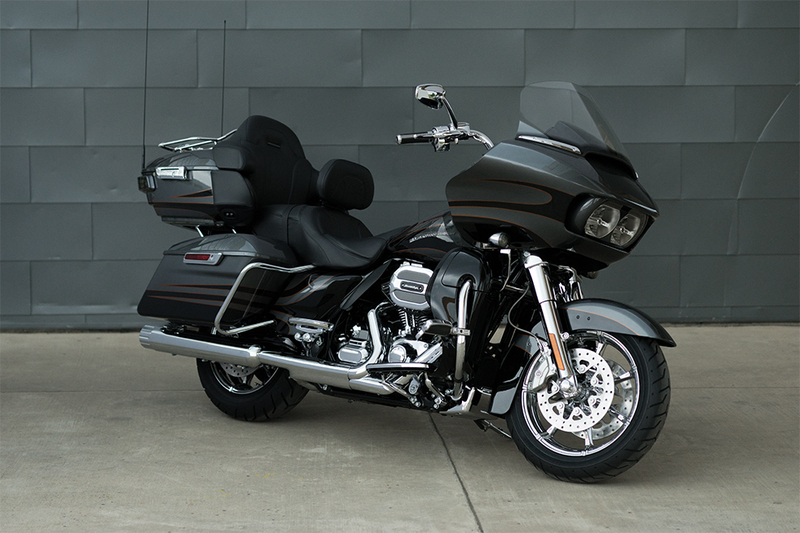 Behind the seats, check out the Tour-Pak® luggage carrier with its sleek chrome finish and accommodation for two full face helmets. 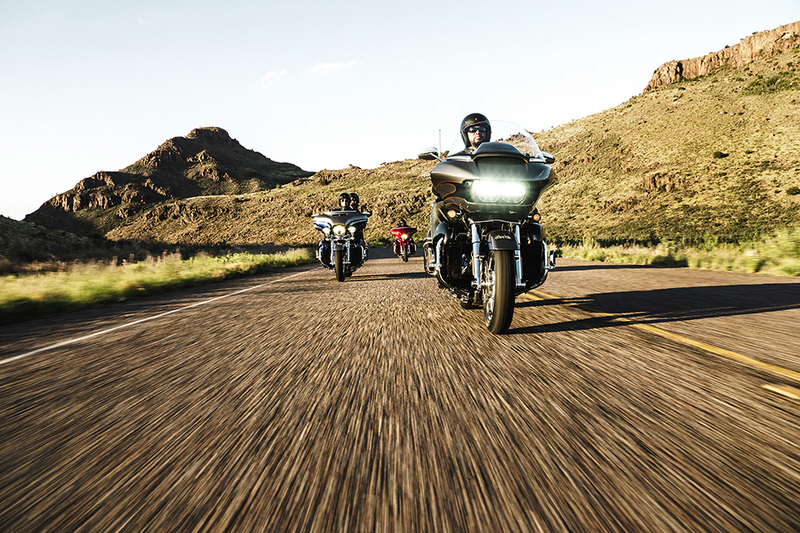 Finally, Dual Daymaker™ Reflector LED headlamps light the way with more illumination than ever. 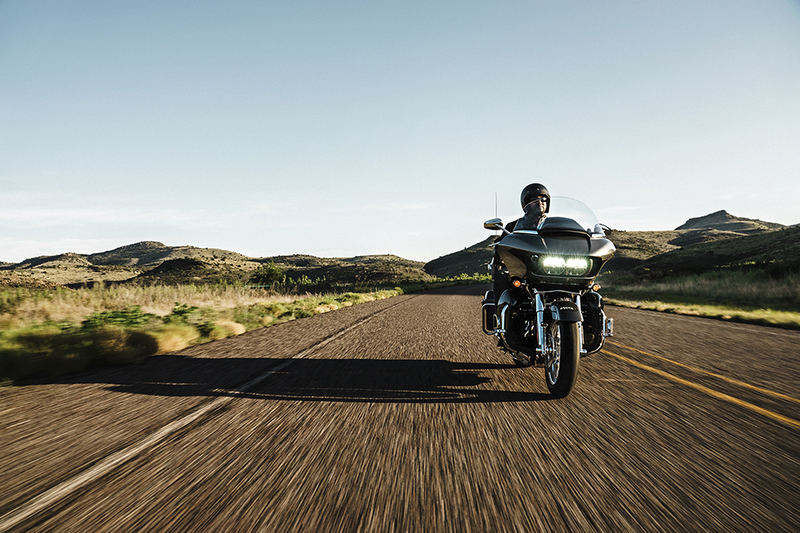 One thing that sets the CVO™ Road Glide® Ultra apart from the standard model is the addition of the Twin-Cooled™ Twin-Cam 110™ engine. This classic V-Twin offers mountains of torque to move you and all your luggage up to speed in a hurry. 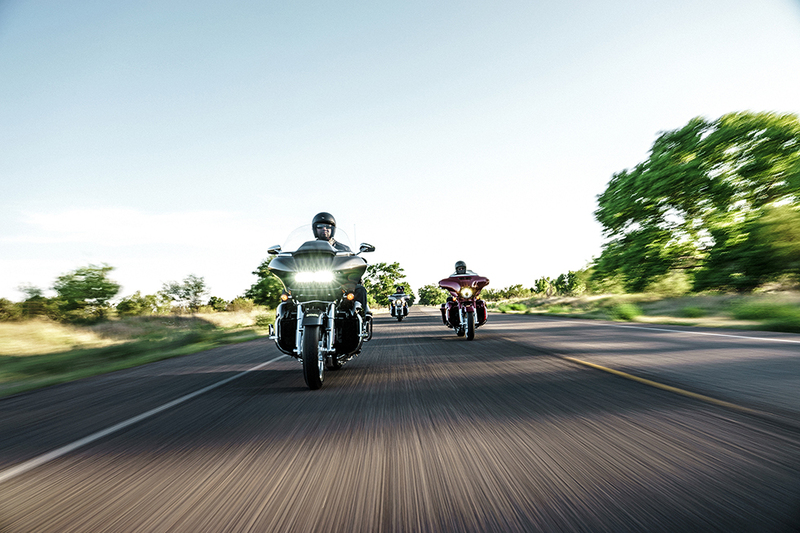 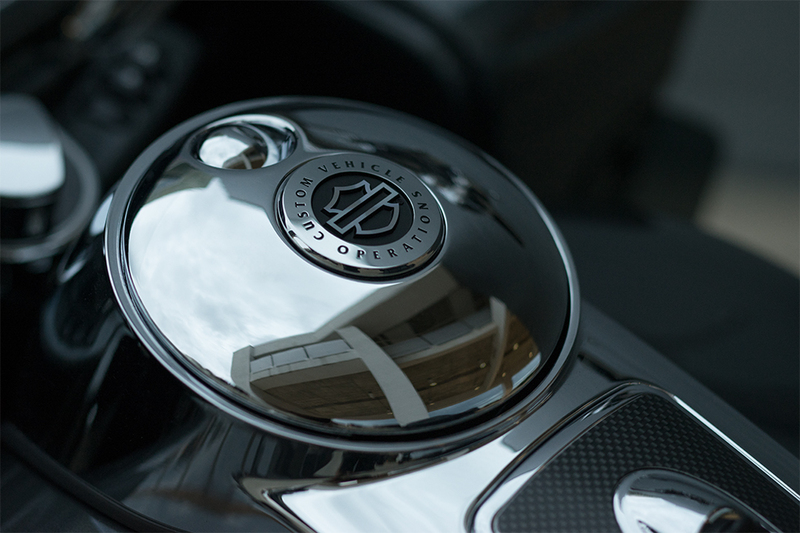 A Six-Speed Cruise Drive® transmission gives you control and a tall cruising gear for quiet highway miles. 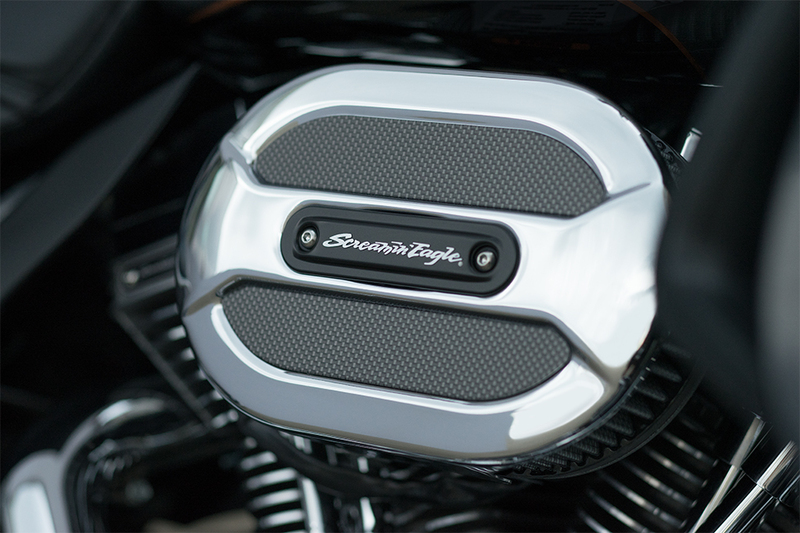 The whole powertrain doesn’t look half bad either, with chrome air filter cover and machined cooling fin tips. 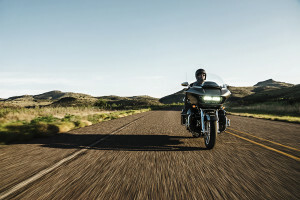 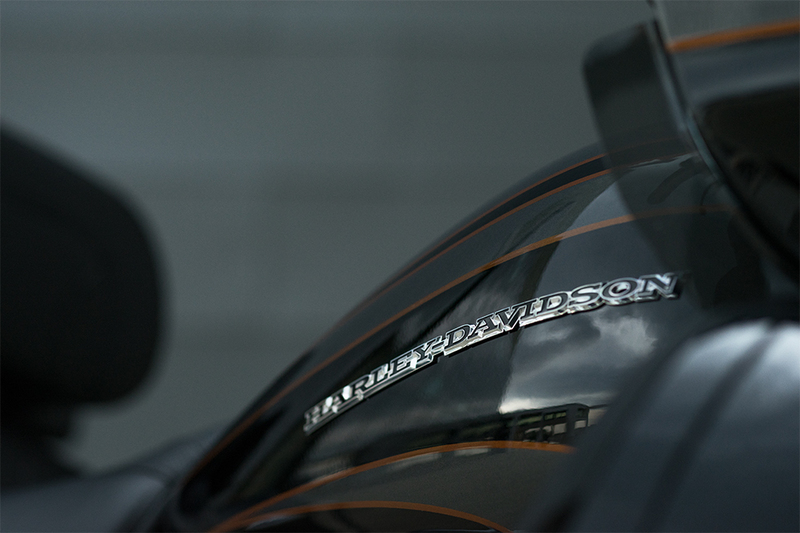 The Harley-Davidson CVO™ Road Glide® Ultra gets the motorcycle-specific exclusive Harley-Davidson infotainment system. 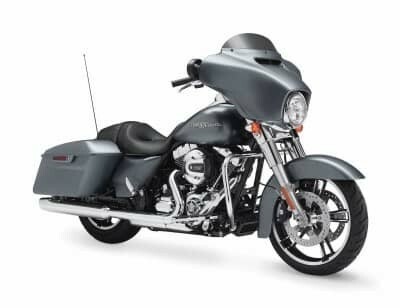 This color touchscreen display system comes with 6.5-inch BOOM!™ Stage II 3-way front speakers, built in GPS navigation, SiriusXM satellite radio, a USB port, Bluetooth connectivity, and voice recognition.